Great TV shows are able to connect with their audience, poke fun at everyday situations and create relatable characters. So, it’s no surprise that the workplace has been such a huge part of some of the most successful TV shows over the last several years. "The boss," in particular -- good or bad -- makes for excellent television because these characters have so much power and can be so influential in the lives of just about anyone working for them. 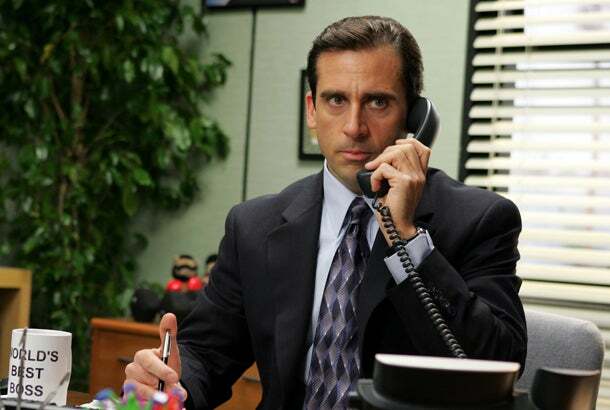 First and foremost comes Michael Scott from The Office. He was arguably one of the most memorable bosses ever to appear on screen, and for good reason. He made a lot of mistakes that might lead you to think on the surface that he wasn't fit for the job, but in the end you saw that his charisma and passion for the company were enough to keep it afloat. After all, the Scranton branch of Dunder Mifflin was consistently number one in sales, right? He never took himself too seriously, which added to the company culture. He was incredibly passionate about his job, which came through whenever there was a problem, or employees needed a little motivation. He remained active in his other passions and got creative, which was incredibly important to keep the boss sane. Remember his book Somehow I Manage? Or when he created his own commercial for the Dunder Mifflin branch? He was confident in every decision he made (even when at times he probably should have showed some nerves). On a completely different note from the humor and passion of Michael Scott comes Don Draper. 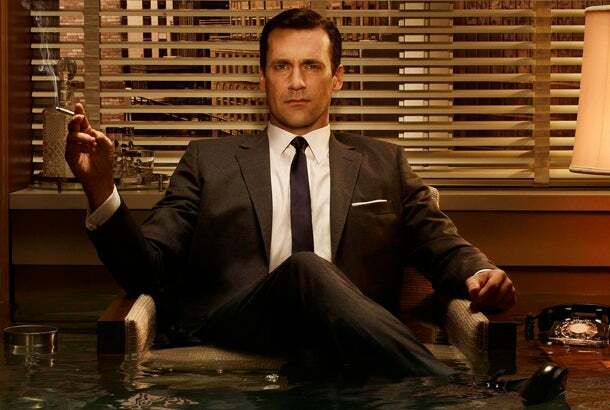 Draper was serious (which seemed to be the norm for his '60s time period), and while he also gave us a lot of lessons on what not to do as a boss, he came out on top and ran a successful business. He wasn’t perfect in his personal life, but he was close to it in his professional one. He understood the value of loyal customers. There was a time when Sterling Cooper wanted to acquire American Airlines and drop its long-time client, Mohawk Airlines. Draper completely disagreed, and when the American deal didn’t happen in the end, that outcome proved Draper was right about the value of loyalty. He spotted talent in Peggy and gave her credit where credit was due. She ended up moving up the ladder and doing great things for the company, which wouldn’t have happened had Draper not noticed her potential. He understood the value of face-to-face interaction. This one we can give to the time period, as opposed to Draper himself. But it’s still worth mentioning because he did such a great job talking with clients face to face. Again, he knew how to appeal to their emotions, he understood his audience and his words reflected that understanding and ultimately helped the firm make the sale. 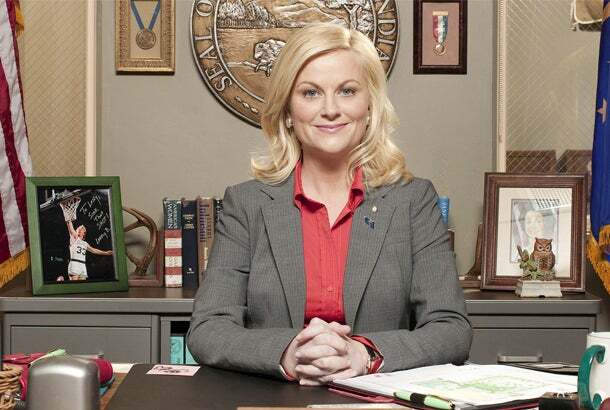 The character of Leslie Knope seemed to embody every aspect of the perfect boss. She was incredibly confident, loved her staff and wasn't afraid to work the long hours it takes for success. In fact, she enjoyed working the long hours. After six seasons, a run for office as city councilwoman and her (final season) huge promotion to the National Parks Service, she definitely seemed like someone to aspire to, and emulate as a boss. If you work hard, great things can happen to your career and your friendships. As discussed above, the show made it apparent that she worked well over the 40-hour minimum per week and didn't complain about it. She was organized, almost to a fault. As a boss, you need to be organized, to really succeed. A little bit of disarray can get the creative juices flowing, but when it comes down to it, you have to know your stuff. She was proud of who she was and never let anyone tell her to calm down or take a back seat on an issue. Her co-workers were her best friends, but that didn't stop her from holding them accountable. The Harvest Festival, L'il Sebastian’s Memorial and other memorable events couldn’t have happened without her motivating her sometimes-lazy team. She had ambition. She ran for city councilwoman even without the help of a professional team, and she won. She didn't give up or let setbacks bring her down. Being recalled as city councilwoman was hard on Knope, but she persevered and ended up with an even better job in the end. Honorable Mention: Ron Swanson wasn't quite as passionate about his job as Knope (to say the least), but that didn't mean that he wasn't a great boss in his own right. He was always there for Knope when she needed advice or to talk things through, and when it really came down to it, Swanson did care about the department. Lemon was arguably the only boss on this list who dealt with high-maintenance employees who didn't always have their priorities straight (sorry, Jenna and Tracy). In other words, unlike these other bosses, Lemon didn't always have the support she needed from her employees when it came to getting things done, which is why she makes the list as a stellar boss. She was not afraid of anything. There was no task too big or overwhelming for Lemon. In fact, she anticipated when things were going to go wrong and was able to keep her cool. She was very quick on her feet. If something went wrong at TGS, which it often did, she had to come up with a solution almost immediately. Remember the anniversary episode where she was missing Jordan? It was Lemon who came up with a solution to get him back and start filming, in just one day. 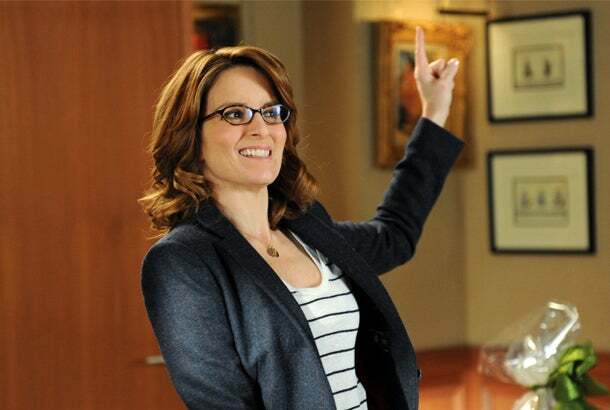 She was never afraid to call it as she saw it (this was really thanks to the writing on Tina Fey’s part that brought issues to light that not many talked about, namely feminist issues and the double-standard often seen in the workplace). Honorable Mention: We can’t move on from 30 Rock without a special shout-out to Jack Donaghy, Lemon’s boss, who as a boss herself was crucial to Lemon's success. In the same way that Swanson was there to help Knope deal with problems in the office, Donaghy was the one whom Lemon turned to in times of trouble. He was suave and confident, so he was the perfect counterpart to Lemon, as well as a huge asset to the company. Did you ever see Gilmore fail to solve a problem at work? This choice may seem a little bit odd since the show was not about office life like the other TV shows on this list, but her abilities as a boss were evident. Her personal life was full of twists and turns, and while her situation as a single mom/business owner might seem overwhelming, Gilmore made it work because she possessed so many of the qualities that make a great boss. She paid attention to detail. If the food wasn't right or the decorations at the inn weren't matching up, she knew it and made a change. We got to see her start her own inn from scratch, so it was the startup struggles that she pushed through that really showed she had what it takes to be the boss. She focused on loyal customers. Your loyal customers are the ones who keep your business afloat in the beginning, so the more you can do for them, the better. She knew her community and made her business a part of that community. This was arguably the biggest thing that Gilmore had going for her, and you could tell she worked her hardest to make it happen. She was maybe the only one on this list who used the community and her good nature to her advantage. Getting involved gave the inn countless opportunities, and the community even helped save the company when the inn had a kitchen fire. These kinds of relationships are huge for success. The overarching theme of these great TV bosses: Passion matters. It’s true that passion will not get you everywhere as a boss, and it will not always equal success, which you can learn more about here, but it has to be there if you want a chance. All of these TV bosses showed tremendous passion, not only for their company initiatives and goals, but also for their staffs. If, like them, you make passion your foundation, you’re off to a great start. Of course we know that there are many more great TV bosses out there, aside from just these five. Angela Bower, maybe? Or Sam Malone? J. Peterman, anyone? Let us know your favorite TV boss, and what makes him/her so great in the comment section below!